Tenor Dane Suarez is quickly establishing himself as a “warm and robust tenore spinto” with “pure earth-shaking lyricism.” He was a 2014 National Semi-Finalist of the Metropolitan Opera National Council Auditions and this season, made his John F. Kennedy Center debut with Washington National Opera as Ely Parker in Glass’ Appomattox. He returned to Opera Memphis for their nationally recognized 30 Days of Opera and performed the role of Beppe (I Pagliacci) this past fall and again this spring for Don José in Peter Brook’s La tragédie de Carmen. 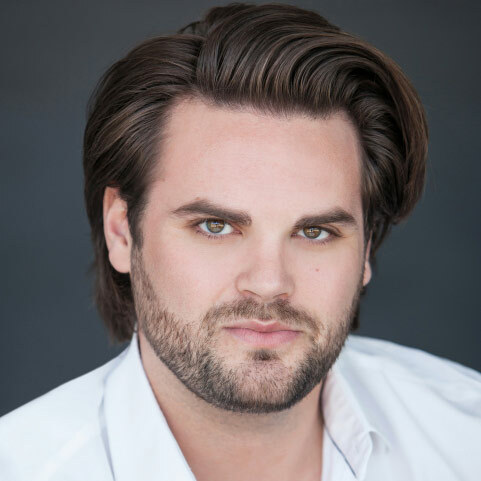 Two exciting company and role debuts for Dane include his “beautiful, soaring, and moving” performance as Cavaradossi (Tosca) with LoftOpera that “brought down the house” and his upcoming Rodolfo (La bohème) at Crested Butte Music Festival. Last season, Suarez starred as Il Duca (Rigoletto) at Opera in the Heights and made his mainstage debut with Fort Worth Opera in Thomas’ Hamlet. For summer 2015, Dane returned to Opera North for two mainstage roles (Pedrillo in Die Entführung aus dem Serail and Mr. Splinters in The Tender Land) and covered Tony in West Side Story. In summer 2014, Dane made his role debut as Don José (Carmen) at Aspen Music Festival and was heard as Shuisky alongside bass-baritone Eric Owens in the Coronation Scene from Boris Godunov. The 2013-2014 season brought Suarez to Opera Memphis as tenor artist-in-residence where he was featured as Borsa and covered Il Duca (Rigoletto) and Nanki-Poo (The Mikado). In summer 2013, he first joined Opera North to cover Edgardo and sing Normanno (Lucia di Lammermoor). For 2012-2013, Mr. Suarez was an apprentice artist at Sarasota Opera covering the roles of Curley (Floyd: Of Mice and Men) and L’Imperatore (Turandot). He joined Maestro Lorin Maazel at the Castleton Festival in Virginia where he sang Henrik (A Little Night Music) and appeared with the Castleton Festival at the Royal Opera House Muscat in Oman where he performed in La Bohème. He was also seen as Rinuccio (Gianni Schicchi) in the inaugural production of La Casa Lirica Opera Venezuela. In 2012, Suarez was featured as the tenor soloist with one of the world’s leading dance companies, Mark Morris Dance Group, at the Krannert Center for the Performing Arts. In summer 2011, he was a Danis Wilson Apprentice Artist at Sugar Creek Opera (formerly Sugar Creek Symphony and Song.) Other recent credits include Il Duca di Mantova (Rigoletto) and Bardolfo (Falstaff) with Voci nel Montefeltro, Bill (A Hand of Bridge) and King Kaspar (Amahl and the Night Visitors) with the UI Opera Studio. He sang First Man in Armour (Die Zauberflöte) and created the role of Ramdas for the world premiere of Stephen Taylor’s Paradises Lost with Illinois Opera Theatre. While completing his undergradate degree, he performed Tamino (The Magic Flute) with Butler Opera Theatre. In addition to his recent success in the Metropolitan Opera National Council Auditions, Suarez has been recognized by multiple organizations including Beethoven Club of Memphis (First Place), Bel Canto Foundation (Bella Voce Award), Sigma Nu Fraternity, Inc. (International Talent of the Year), Mu Phi Epsilon International Music Fraternity, Pi Kappa Lambda National Music Honor Society, and he won the 2010 Butler University Concerto Competition singing Ravel’s Cinq mélodies populaires grecques. He holds a bachelor’s degree from Butler University and a master’s degree from the University of Illinois at Urbana-Champaign.